Come home from an intense day of work and study to UCE Apartment Homes in Fullerton. 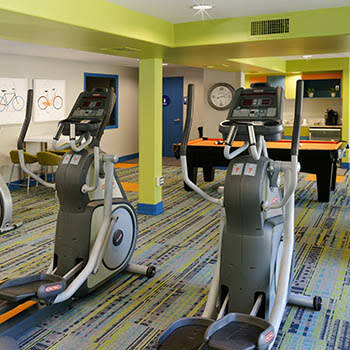 We have deluxe amenities to keep you fit, maximize your free time, and help you get things done. Swim a few early morning laps in our sparkling pool or do some weight training in the modern fitness center. Our media center lets you connect and take care of business in the company of friends. Weekdays and weekends, there’s always something happening at our UCE Apartment Homes community. Of course, our spacious apartments provide a private place to chill out and enjoy the company of your beloved pet. UCE offers all residents access to the Parcel Pending package delivery service onsite. When enrolled in the service, your packages will be delivered to your secure storage locker with access codes and updates delivered directly to you by text or email. Enjoy our community at UCE Apartment Homes in Fullerton, CA. Contact our office to learn more about the availability of one and two bedroom apartments.